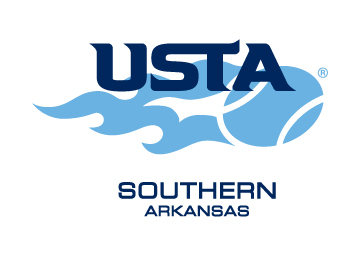 USTA Arkansas was established in the 1960's and has a current membership of over 7,000. Policy is formed and much of the organization's work is executed via a board and committee structure of over 100 volunteers. A professional staff, housed in Little Rock, compliments the volunteer structure and is charged with carrying out the daily operations of the organization. USTA Arkansas has one goal in particular: to connect Arkansas to tennis! Whether you are the tennis organizer or player, USTA Arkansas is the perfect source of information and support for all tennis endeavors. Every year we sanction over 80 tournaments for all levels, support competitive and recreational tennis leagues around the state, provide multiple program and clinic options for all ages and ability levels and give over $50,000 in grants...all to connect Arkansas to tennis! USTA Arkansas is the state affiliate for the United States Tennis Association in Arkansas, and is commonly referred to as the Arkansas Tennis Association.